Marjoram Sweet, Black Pepper and Plai. A warming blend to relax and soothe muscles. 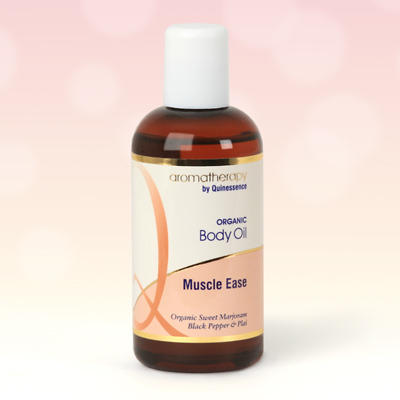 This blend of oils re-energises tired muscles after a strenuous day or over exertion. Comforting when massaged on the abdomen before and during menstruation. Contains Certified Organic Essential oils of: Sweet Marjoram, Plai, Black Pepper, Roman Chamomile and Clove Bud in blended Sunflower, Coconut and Black Seed carrier oil. Helianthus annuus, Cocos nucifera, Nigella sativa, Origanum majorana, Zingiber cassumunar, Piper nigrum, Anthemis nobilis, Syzygium aromaticum.